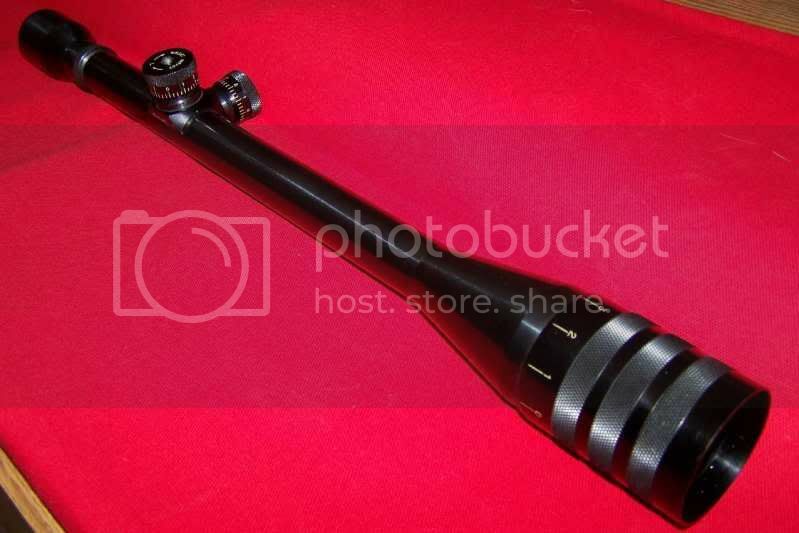 Was just 2 weeks ago I mailed Gary a MO for an ElPaso Weaver T-25 Target Scope w/ Fine X Hair (all steel). Arrived today! A beautifuy example, Gary described it to a T! Check out the Turret pic, someone had engraved another # below the serial #! That's a cool old scope! I've always like the old steel tube Weavers and have a few hunting/plinking scopes in the lower powers. Congrats ultramag, I'd love to see a pic of how the T-25 looks on your 513T. I have a Redfield 6400 20X on mine and it works out pretty good. 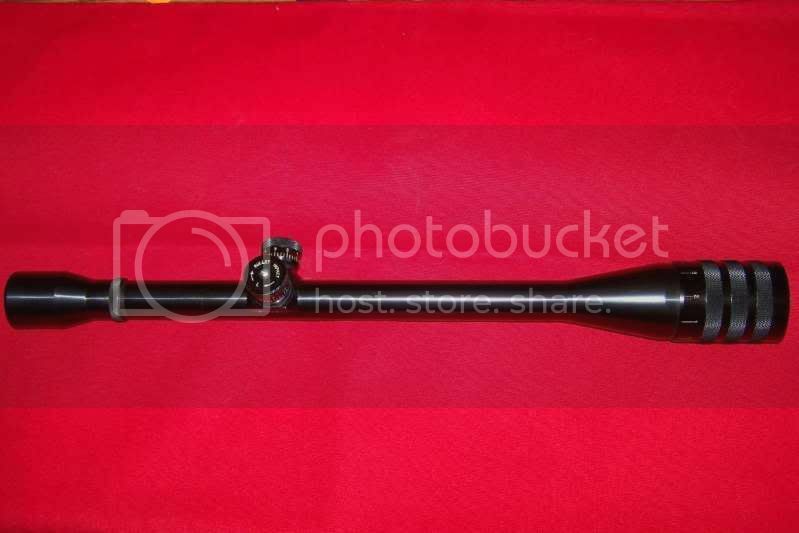 PWNolan, could we see a pic of the scope / Rifle combo? What do the markings mean on the front collar. From the two pictures, I see at least numbers 0 thru 6, and all appear to be EVENLY spaced. I am guessing that it goes all the way from 0 to 9, and restarts back at 0? Most front AO scopes yardage marking are not evenly spaced, but this appears to be a rather unusual scope, with multiple 360 degree turns. From the first picture it appears you have at least 10 full turns and scope is set in between turns 8 and 9. In that first picture in this post, there are numbers 0 thru 10 on the bell part nearest the eye. From line markings, they seem to indicate the number of turns. Being at the 0 turn, means scope is at closest focus. Being at the higher turn, such as 10, means scope is focused at longer distance. Do you know how to translate the markings into distance? 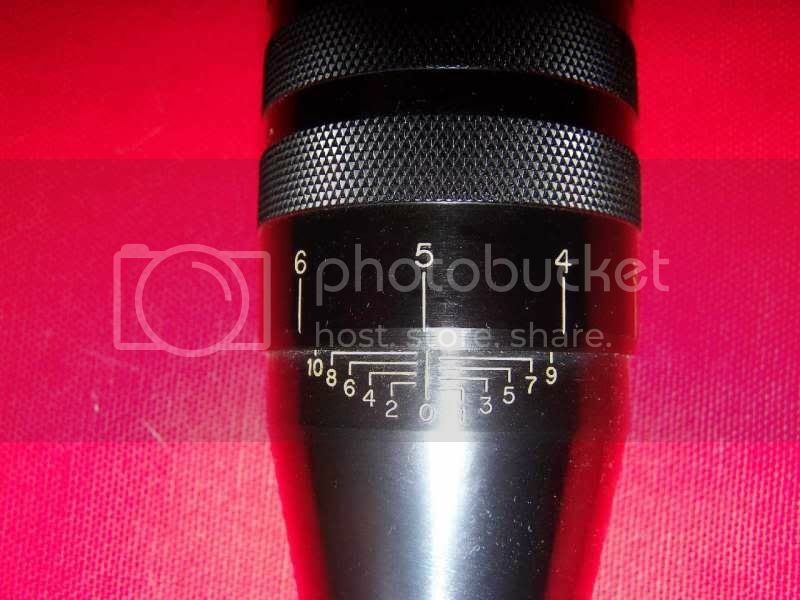 Is this scope fully mulicoated, or something less? Last edited by MGT; 04-02-2011 at 08:52 AM. 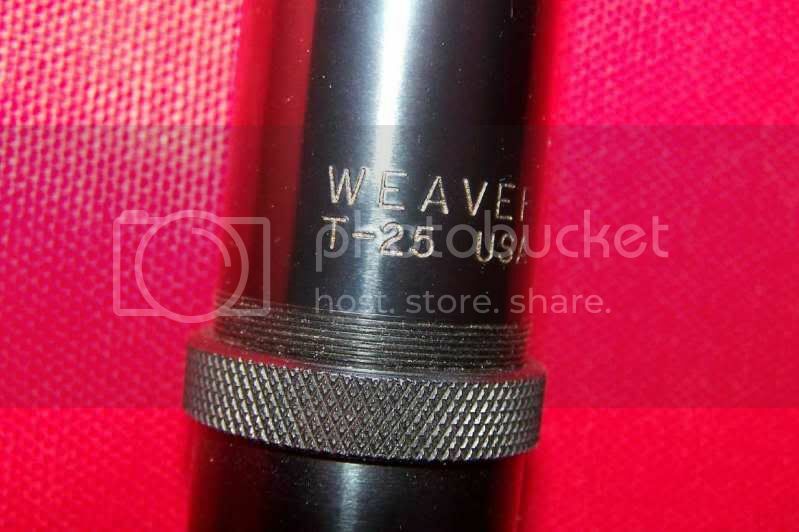 T-20, T-25, T-30), were Weavers top of the line scopes. I got the box, but no documentation w/ the scope. 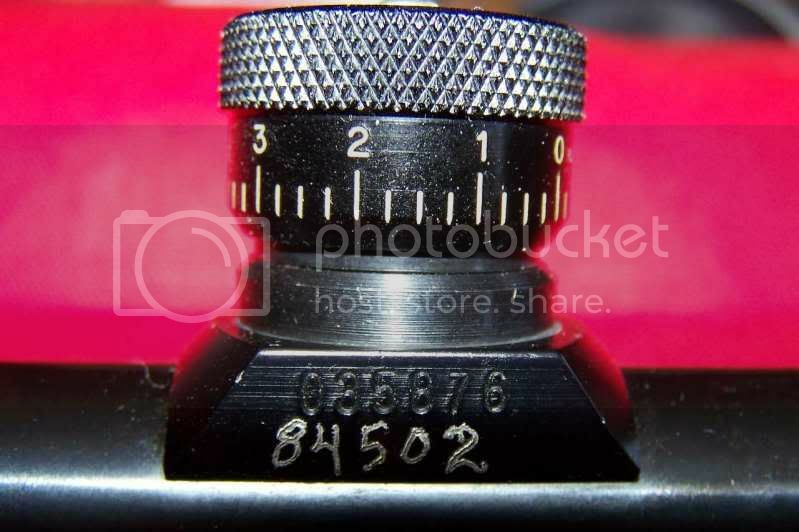 Focus Range: IDK, Yes, the #'s on the focus ring are evenly spaced. In early siloulette shooting, guys would have a sticker on the side of the gun w/ click #'s and focus info for the varous ranges. If anyone has a owners pamphlet they could scan, I would be most gratfull. Last edited by ultramag44; 04-02-2011 at 04:17 PM.